Heroic copywriter for thinking out of the box in linking 'natural goodness' with the world's hardest rock for whatever reasons. Moronic for reminding potential customers that they are just wasting money buying lemons. Naughty graphic designer with the strategically-placed fingers ready for the pinch in this naughty ad for naughty boys. And if it is not enough, the naughty-sounding interactive feature will surely do the trick. Take my money already! 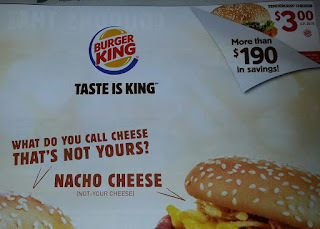 The $190 savings in this coupon pamphlet is not worth the extra 190 mins on the running track I need to put in, should I ever decide to submit myself to the King. 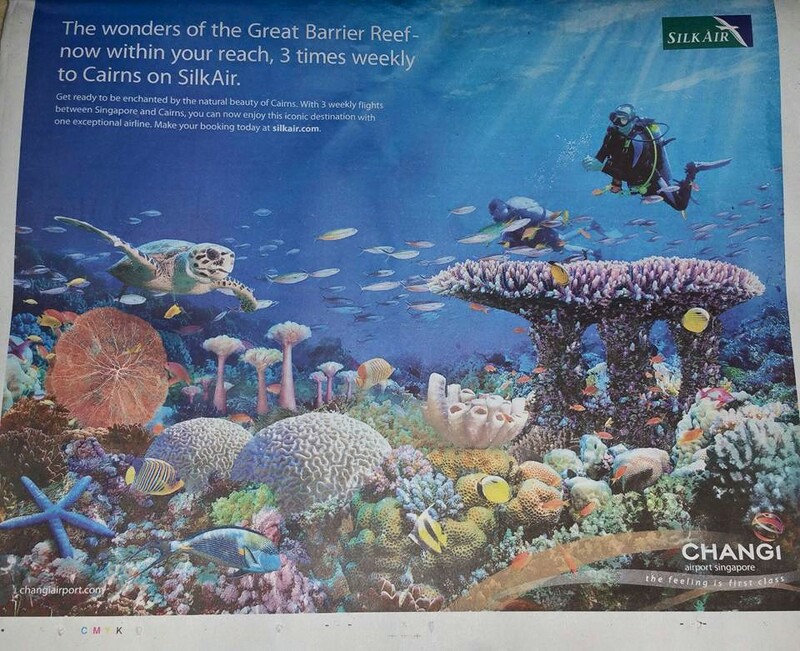 Brilliant ad by SilkAir/Changi Airport incorporating Singapore landmarks as part of a coral reef seascape. Once I spotted Marina Bay Sands, the rest were easy to decipher, like the ArtScience Museum, Gardens By The Bay, The Esplanade and Singapore Flyer. 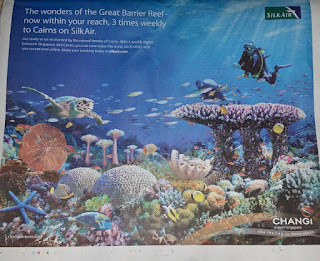 However, a friend thinks that the message is about global warming and rising sea levels. "See them before they go under..."